BirdTrack is free online bird recording software for Britain & Ireland developed through a partnership between BTO, RSPB, BirdWatch Ireland and SOC. It is a year-round recording scheme that uses data from birdwatchers’ records to support species and site conservation at local, national and international scales. Results produced by BirdTrack include mapping the migration and movements of birds and monitoring of scarce birds in Britain and Ireland. Sign up and enter your date at www.birdtrack.net. BBS is a long-term annual survey aimed at keeping track of changes in the breeding populations of widespread bird species in the UK. Volunteers survey randomly selected 1-km squares, walking two 1-km transects within each square, and recording birds in distance bands. BBS currently monitors population changes for over 100 bird species, and the results are used by UK Government and other organisations to set conservation priorities. 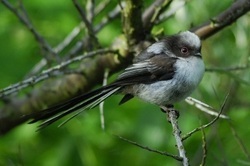 More information at http://www.bto.org/volunteer-surveys/bbs or contact Stuart Piner. 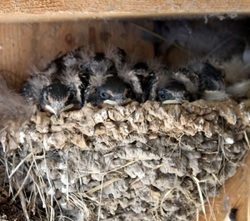 Logging information about nests found, number of eggs and nestlings observed. Observers make BBS-style transect visits to randomly selected stretches of waterway throughout the UK; a few non-random stretches (previous Waterways Bird Survey plots) are also covered. 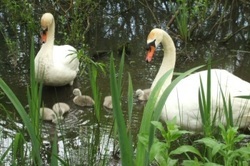 Results link with those of the WBS to provide long-term trends for birds in waterside habitats. 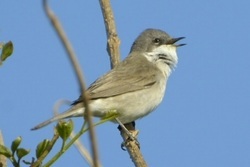 More information at http://www.bto.org/volunteer-surveys/wbbs or contact Stuart Piner. 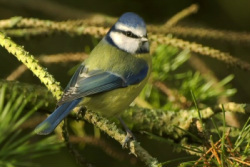 Winter counts of all birds visiting garden feeding stations in selected gardens. Year-round nationwide survey of birds in gardens using weekly logs of birds seen. Cost £15 pa. 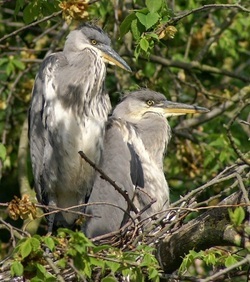 Observers count occupied nests in heronries throughout the UK. If nests cannot be counted, a note of whether a heronry is active or not in a particular season is of value. In recent breeding seasons Bob Danson has colour-ringed Tree Sparrows from his many nestboxes in the Pilling and Preesall area. 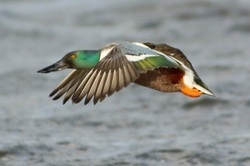 He would like to find out more about the movements of these birds after the breeding season and during the winter months. All the birds have a red-ring over the BTO metal ring on the right leg and the colour of the ring on the left leg indicates the site. Please note the grid reference of the sighting along with, if possible, what it was feeding on and the number of unringed birds present in the flock. 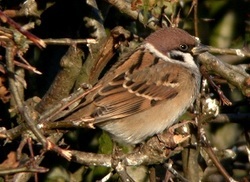 Please report all sightings of colour-ringed Tree Sparrows to Bob Danson. 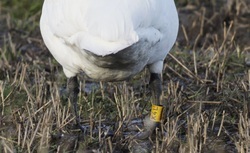 Please report all sightings of Darvic neck-collared and leg-ringed birds to the BTO.